The Mariners announced the 2012 Minor League Awards today, and all players will be honored before the season finale today vs. the Los Angeles Angels. Infielder Stefen Romero (High Desert/Jackson) was named Player of the Year, while right-hander Carter Capps (Jackson/Tacoma/Seattle) was named the Pitcher of the Year. Infielder Brad Miller (High Desert/Jackson) received the Heart and Soul Award for his exemplary play and leadership and right-handed pitcher Brandon Maurer (Jackson) was named the Most Improved Player in the Mariners organization. Romero, 23, hit .352 (167×474) with 85 runs scored, 64 extra-base (2B – 34, 3B – 7, HR – 23) and 101 RBI in 116 games combined between A High Desert and AA Jackson. In only his second professional season, Romero finished 3rd amongst all full season minor leaguers in average and was named to the Baseball America 2012 Second-Team All-Star team as a second baseman. Romero was one of only 19 players in the minor leagues this season to knock in at least 100 runs. He tied for the organizational lead in average, while ranking 2nd in RBI and 3rd in home runs. Romero became the first Minor League Player in 2012 to hit for the cycle when he accomplished the feat on May 22 at Lancaster. He recorded 50 multi-hit games (25-High Desert, 25-Jackson), including 8 three-hit games and 6 season-high four-hit games. Romero was named to the California League All-Star team before being promoted to Jackson on June 21. With the Generals he hit safely in 47 of 55 games with an at-bat, while batting .347 (75×216). Romero, a native of Tucson, Arizona, attended Oregon State University from 2009-10 and was the Mariners 12th round selection in the 2010 First-Year Player Draft. “Stefen had an outstanding offensive season combined between High Desert and Jackson,” Zduriencik said. “He not only led the organization in many offensive categories, but was one of the top players in all of the minor leagues. Capps, 22, went 2-3 with 19 saves and a 1.23 ERA (7 ER, 51.1 IP) in 39 relief appearances combined between AA Jackson and AAA Tacoma. The 6-5, 220-pound right-hander averaged 13.2 strikeouts and 2.1 walks per 9.0 innings and converted 19 of 21 saves opportunities. He held opponents to a .212 (40×189) batting average, while walking 12 and striking out 75. Capps was selected to Seattle on July 31 and made his Major League debut on August 3 at New York (AL). In 18 relief appearances with the Mariners, Capps is 0-0 with a 3.96 ERA (11 ER, 25.0 IP) with 28 strikeouts. He was the third players from the 2011 draft to make his ML debut. 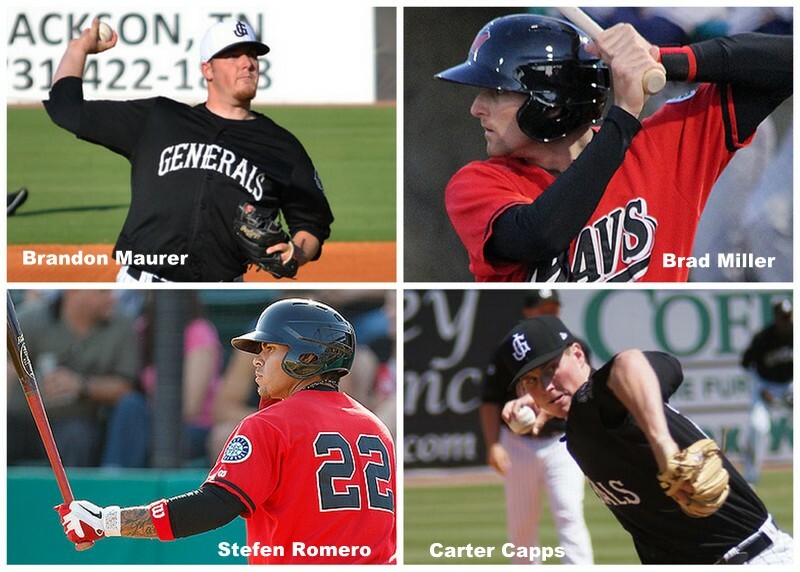 Capps was the Mariners 3rd-round supplemental selection (121st overall) in the 2011 First-Year Player Draft out of Mount Olive College (NC). He was named the 2011 NCAA Division II Pitcher of the Year after going 14-1 with 2 saves and a 1.75 ERA in 20 games/15 starts. 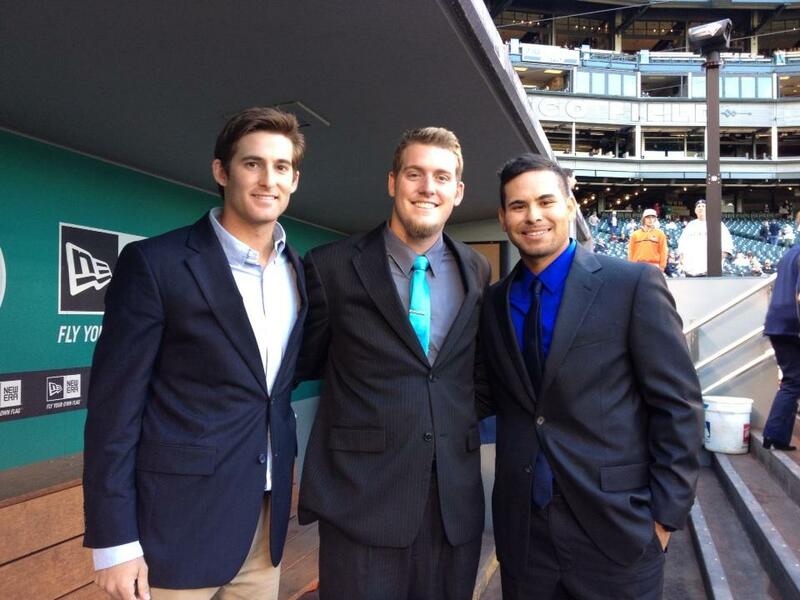 Brad Miller, Brandon Maurer and Stefen Romero prior to the start of the Mariners season finale vs. the Angels. Miller, 22, received the Mariners Heart and Soul Award for his exemplary play and leadership skills both on and off the field. Miller hit .334 (186×557) with 110 runs scored, 40 doubles, 7 triples, 15 home runs and 68 RBI in 137 games combined between A High Desert and AA Jackson. His 186 hits ranked 2nd amongst all minor leaguers this year, while also ranking 4th in runs scored and tied for 10th in doubles. Miller led all Mariners farmhands with 56 multi-hit games, including 12 three-hit games and 2 season-high four-hit games. He reached base safely, via hit or walk, in 123 out of 137 (90%) games he appeared, including 90 of 97 games with the Mavericks. He was named California League All-Star team and named the league’s Player of the Week, April 5-15. Miller was the Mariners 2nd round selection in the 2011 First-Year Player Draft out of the Clemson University. He was named 2011 ACC Player-of-Year his junior season after leading the conference in average (.395) and on-base percentage (.489). Maurer, 22, was recently named Southern League Most Outstanding Pitcher after going 9-2 with a 3.20 ERA (49 ER, 137.2 IP) in 24 starts with AA Jackson. After being limited to only 22 games, 17 starts, over the 2010-11 seasons due to injuries, Maurer rebounded to lead the league with an .818 winning percentage and ranked 5th in ERA, while helping Jackson to the best record in the Southern League in 2012 (79-61). Maurer limited opponents to a .260 (133×512) average, while walking 48 and striking out 117. He finished tied for the Generals lead in wins (9), while leading the team in strikeouts (117) and innings pitched (137.1). In his final 14 starts of the season, from June 1-Aug. 16, Maurer went 7-1 with a 2.50 ERA (24 ER, 86.1 IP) and recorded 10 quality starts. During this stretch has lowered his season ERA from 4.38 to 3.20. 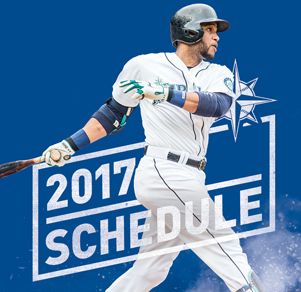 After only recording 7 wins in his first four seasons in the Mariners organization, Maurer set a career-high with 9 wins in 2012. He was the Mariners 23rd round selection in the 2008 First-Year Player Draft out of Orange Lutheran (CA) High School. Maurer is 16-17 with a 3.65 ERA (131 ER, 323.0 IP) in 67 games, 58 starts in his four-year minor league career.